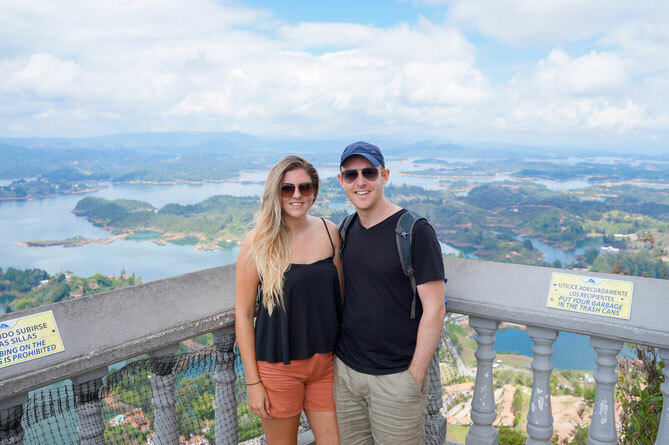 The Complete Guide to Guatape: Home to "The Best View in the World"
Guatape, which is arguably Colombia's most colourful town, is located just 2 short hours from the city of Medellin. The town is most famous for La Piedra, a rock which soars above the town and offers incredible views of the regions flooded valley and man-made islands. 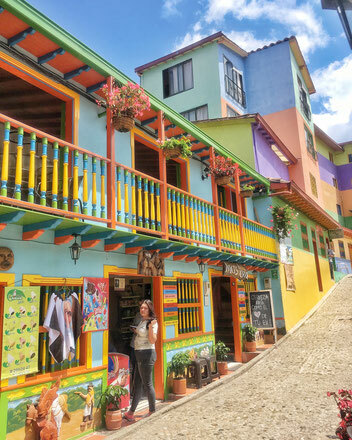 A lot of people only go to Guatape as a day trip from the city, however, there is so much more to this little town than "The Rock". There are waterfalls to explore and viewpoints to hike to, a whole host of different adventures await there. 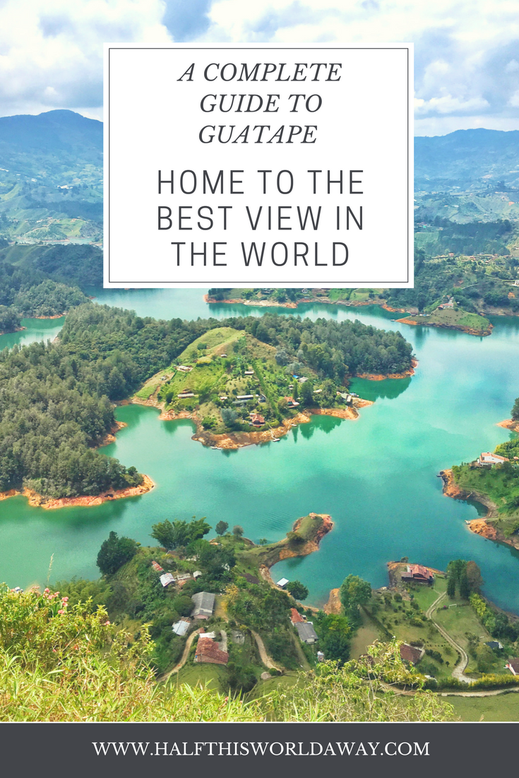 We spent 2 weeks in Guatape and absolutely loved it, we done everything there was to do and have pulled together this complete guide to Guatape which includes the best things to do, what to see, what to eat, where to sleep and most importantly, where you can find the best coffee in all of Guatape! 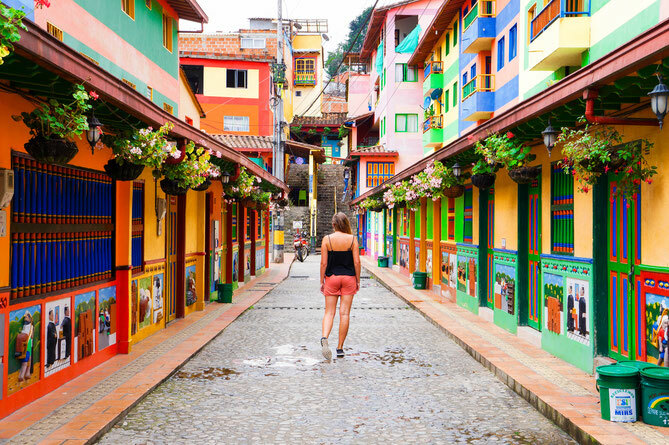 The streets of Guatape is what made us first fall in love with it, it is undoubtably the most colourful place we have visited in Colombia! Every building has its own unique picture along its walls, and you can't help but smile when you see all the colours. One of our favourite things to do was meander through these streets, with a coffee in hand, exploring the little boutique stores and simply just enjoying the sunshine filled little town. 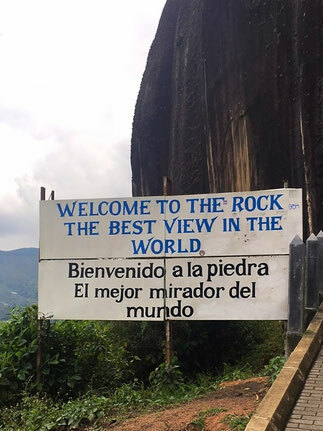 La Piedra or The Rock in English is what most people venture to Guatape to see. The views from the top are breathtaking (and the best in the world if you believe the signs!). The landscape is utterly unique; unlike anything we had ever seen before. 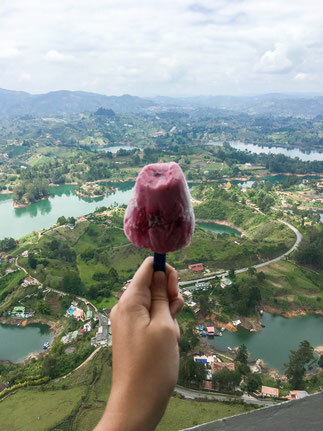 Its a tough climb to the top with over 700 steps to clamber up but its definitely worth the effort and there's even an ice cream waiting for you at the top! 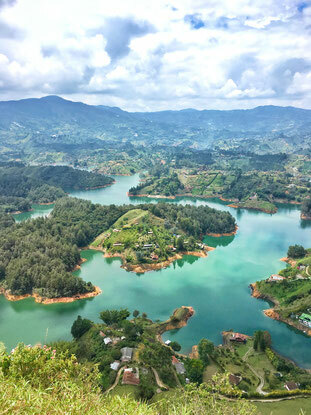 Whether you are in Guatape for 1 day or 1 week, La Piedra is a must do! 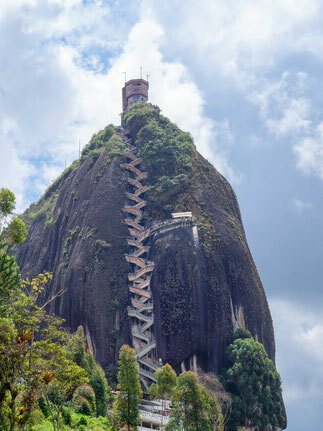 How to get to La Piedra: You can walk to La Piedra from the centre of Guatape in about an hour. Simply take the highway back through town and you will see a footpath on the right hand side. Follow this path which will take you about halfway there then continue to walk along the highway. You will come to a hotel called Los Recuerdos, and the entrance is just to the left after you pass the hotel. 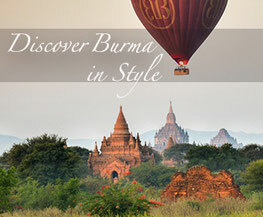 Alternatively, you can get a Moto taxi from the town. This should cost around 8000 pesos to the highway turn off, or 10,000 pesos to the base of the rock. How much does it cost: Entrance to La Piedra is 18,000 pesos per person. 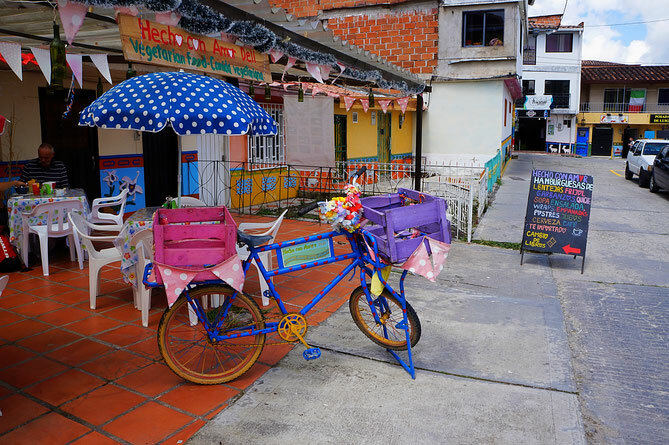 San Rafael is a little town that you can cycle to from Guatape. 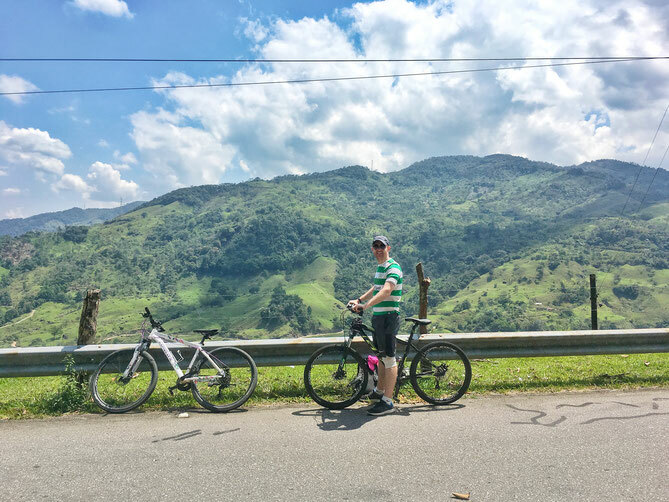 It's a 16 mile cycle and as San Rafael is 1000 metres lower than Guatape, the majority of the cycle is downhill, but there are 3 quite big hills to get over first! The cycle takes you through the mountains with some breathtaking scenery. We reached San Rafael in time for lunch and instantly loved it! 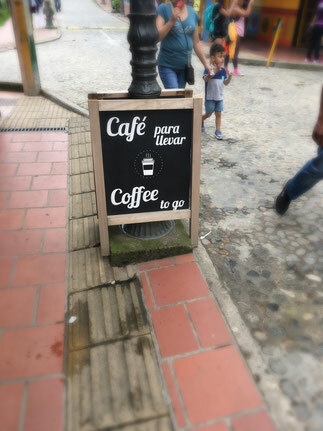 It was full of men in cowboy hats who ride horses, and the main square was full of Colombian's sipping coffees and simply watching the world go by. There is a great little spot for swimming as well called Las Tongas, which is the perfect place to cool off after the cycle! We then got the bus back to Guatape as we didn't fancy cycling uphill all the way back! How to get to San Raphael: Cross the bridge at the end of the Malecon and simply follow the highway all the way to San Rafael. Once there you can ask locals for directions to Las Tangas which is a 15 minute walk from the main square. The last bus back to Guatape is at 5:30pm and leaves from the main square, opposite the cathedral. How much does it cost? We rented our bikes from Colombia Getaway which is located halfway along the Malecon and costs 35,000 pesos per bike, per day. Colombia Getaway also do a tour to San Raphael if you would rather go as part of a group and this costs 120,000 pesos per person. You can hike to a beautiful viewpoint from Guatape which looks over stunning mountains and valleys. It is a 4 hour round trip from the centre of Guatape and is a fairly easily hike with a few steep parts. How to get to the viewpoint: Cross the bridge at the end of the Malecon and follow the road for about 15 minutes. You will pass a Virgin Mary statue, and just after this statue on the right hand side there is a dirt track. Follow this track for just over an hour until you reach a gate. Go through the gate and you will see stunning views of the valley below; from here you can pass through a 2nd gate and hike up the hill for even better views. How much does it cost: This hike is completely free. 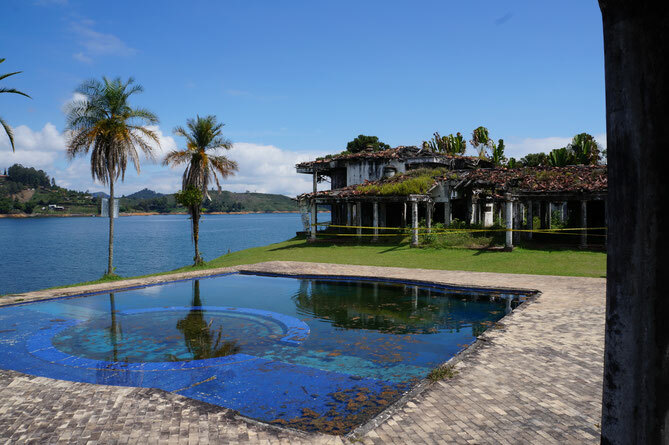 La Finca Manuela was a home built by Pablo Escobar in Guatape and named after his daughter, Manuela. 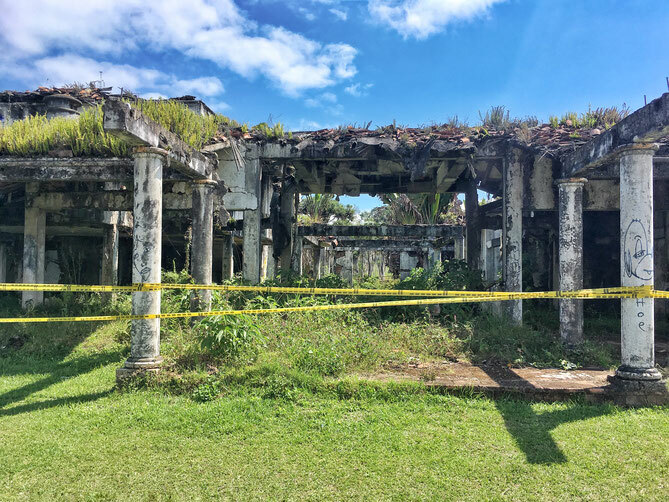 The mansion was destroyed by Los Pepes in the early 1990's and today you can walk amongst the ruins to get a glimpse of what life was like for Pablo Escobar. There are various Pablo Escobar tours you can do, particularly in Medellin, but we opted to visit his old house instead. How to get to La Finca Manuela: We done a tour to La Finca Manuela with Getaway Colombia which was organised through our hostel Lake View. The home can only be accessed via boat, its a stunning 45 minute boat ride from Guatape. How much does it cost? When we done the tour, it cost 15,000 pesos per person which included the 5,000 entrance fee to La Finca Manuela. The cost of the tour is dependant on the number of people, the more people who go, the cheaper it is. When you arrive at La Finca Manuela, there is a guide there who can talk to you about the history of the home however this is all in Spanish. 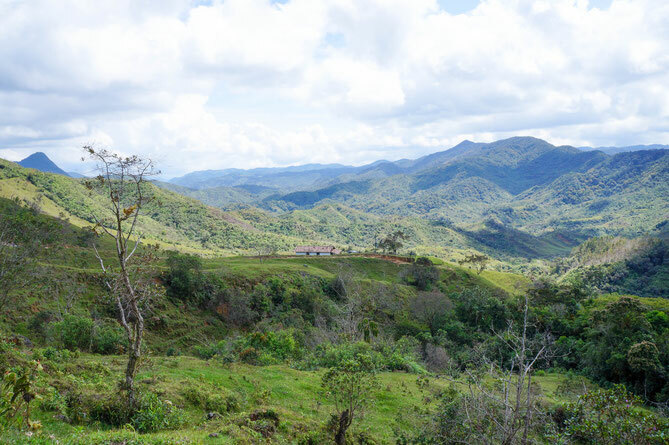 Colombia Getaway now do tours here with a bilingual guide for 45,000 pesos per person. Alternatively, you can wander down to the Malecon where boats & drivers are waiting to take people and do a tour yourself. You should expect to pay about 100,000 pesos for a private boat. 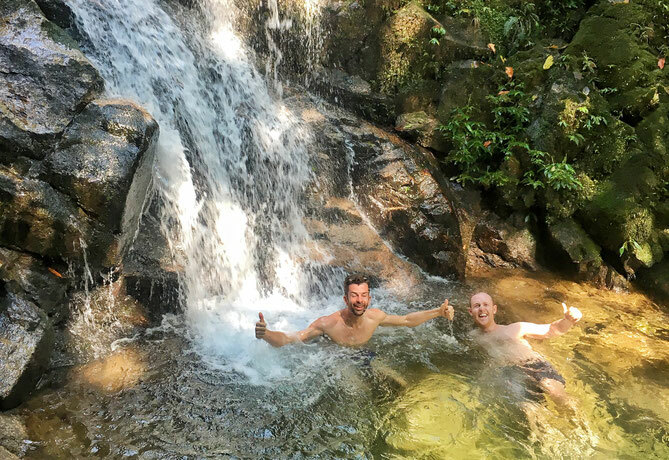 If you want some adventure and don't mind getting dirty, then there are some lovely waterfalls waiting to be explored in the jungles around Guatape. It's a 3 hour round trip from town to the waterfall. How to get to Las Cascadas: Cross the bridge at the end of the Malecon and continue walking along the highway for 200m. Then turn right onto a paved track at Tienda Playa Hermosa and follow this track for 2km to El Cristiano Trout Farm. Continue past the trout farm (there is a sign that says private property but this can be ignored as they let hikers pass through without any issues). Continue to follow the stream and at one point you will need to climb over a fence. The stream will lead you to the first waterfall, and from here there are another 6 higher up; the 2nd one is the best for a swim! How much does it cost? This hike is completely free. The Lake View Hostel do tours there with a guide so if you would rather go with someone that knows the way you can enquire there. For us, there is only one place to stay in Guatape and that is Lake View Hostel. This hostel on the outskirts of town comes with stunning views, delicious breakfast options and they even have a surprisingly authentic Thai restaurant and bar on the 3rd floor. 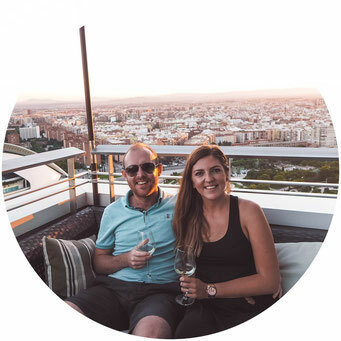 There is a mixture of dorms and private rooms so whether you want to meet other travellers or want some chill out time, then they have rooms to suit! 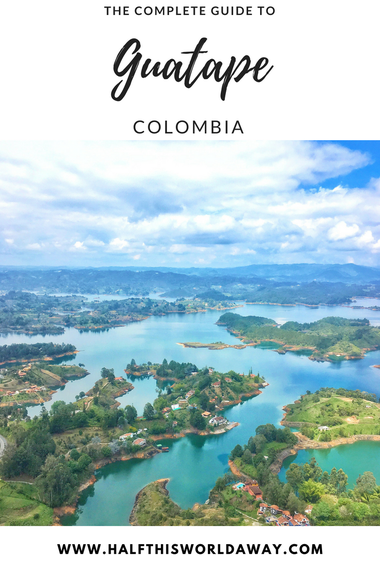 As I mentioned, we spent 2 weeks in Guatape and ate everywhere worth eating in! 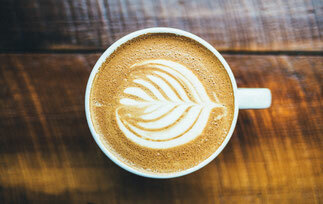 For such a small town there is a surprising amount of really good restaurants, cafes and coffee shops! 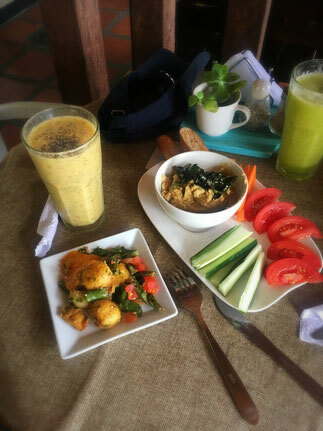 These are the best restaurants in Guatape! 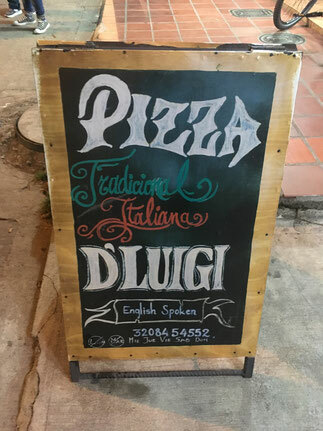 D'Luigi's was our favourite restaurant in Guatape, ran by a Colombian/Italian husband and wife team, the pizza tastes like its came straight from a bustling pizzeria in Naples. 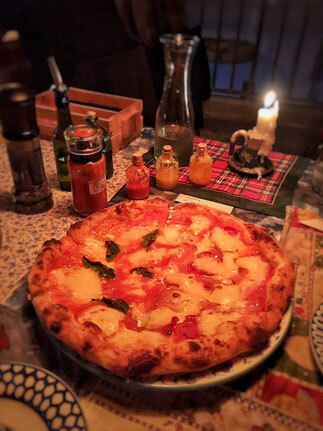 Probably the best pizza we have ever had, and we never expected to be saying that whilst in Colombia let alone in the tiny town of Guatape! The pizzas come with a range of different chilli sauces and flavoured oils, and we combined it with a couple of glasses of Bardolino wine. We also loved the atmosphere of this cosy little restaurants, lit by candles and fairy lights, it is a romantic little spot we couldn't recommend enough! 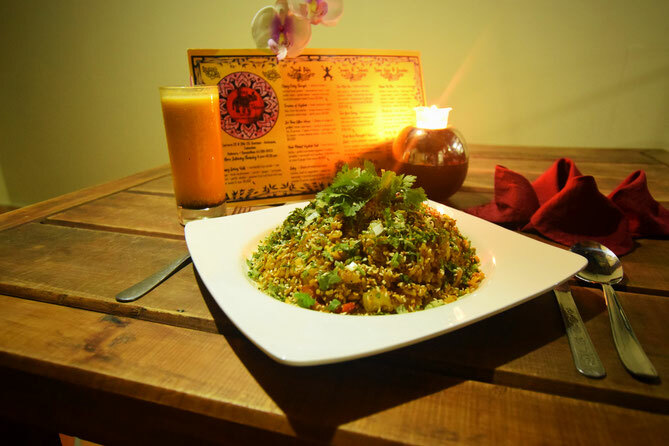 Namaste is a vegetarian & vegan restaurant which offers some tasty and healthy meals. David isn't the biggest fan of vegetarian food but even he enjoyed his meat free lasagne, the refreshing smoothies and hummus with veg. The portions are huge, but make sure you leave some room for one of their delicious cakes! 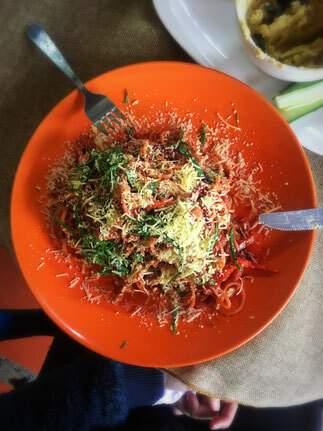 If you are feeling a little home sick and want something comforting then head to Henco Con Amor Deli; this colourful little cafe is owned by an English lady and everyday they have freshly baked bread and homemade soup. They also have an array of different sandwiches and homemade cakes; we had a good few lunches here and loved them! On the 3rd floor of Lake View Hostel is a surprisingly authentic Thai restaurant. 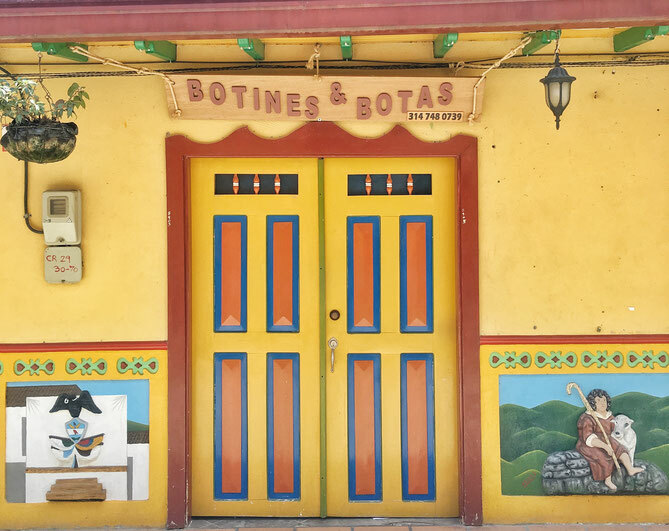 We ate here a few times whilst in Guatape and really enjoyed each meal! The Thai Red Curry and Pad Thai in particular are good! 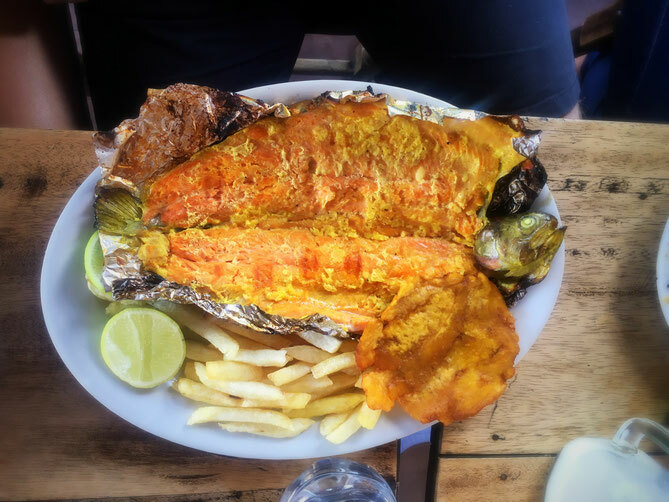 Guapate is famous for its trucha - or trout in English and no where does it better than La Fogata. You can choose from a large selection of trout dishes and you will be able to smell it being barbecued from streets away! 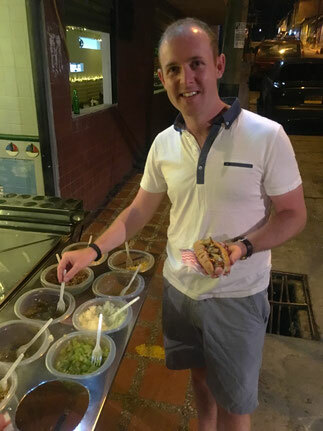 If you are looking for some cheap eats in Guatape then we found 2 street vendors with some delicious food for super cheap! 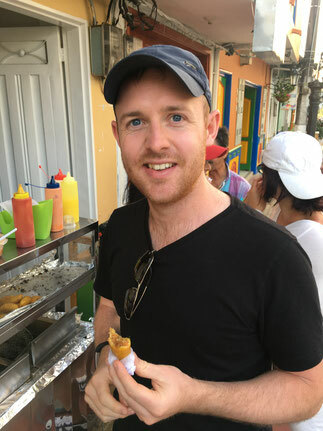 If you've been in South America for a while, then you have probably eaten your fair share of empanadas but we challenge you to find some better than these! These little pockets of deliciousness are fried freshly in front of you, as the lady's stall is swarmed by locals looking for their daily hit! We found this stall after reading a post by Along Dusty Roads and we are so glad we found her! Her homemade salsa is to die for, and her cheese empanadas go great with the condensed milk sauce; we know this sounds weird but trust us! It's amazing! 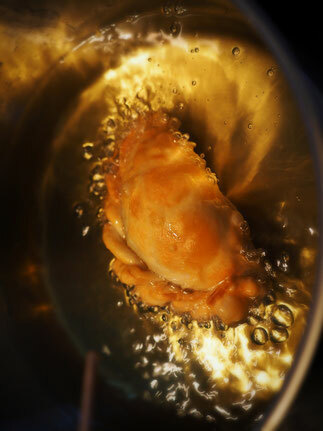 Plus, these empanadas are around 500 pesos, so like 15p! This hot dog stand is on the street opposite the Malecon, next to Getaway Colombia and it is there day and night, 7 days a week. 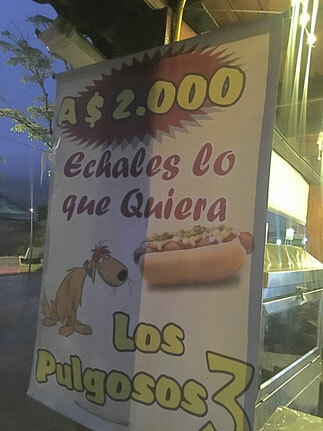 The hot dogs only cost 2000 pesos (that's 50p!) and there is every hot dog topping imaginable that you can pile on yourself to custom make the best hot dog ever. We loved visiting this little hot dog stand when we wanted a cheap snack! 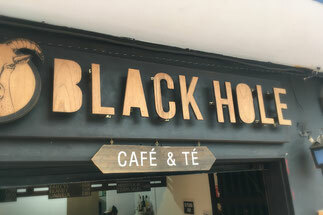 Throughout our 2 weeks in Guatape, we drank a lot of coffee, however the winner was undoubtably Black Hole. This little coffee shop only does take aways and will often have queues but it is more than worth the wait! If you want something sweet to go with it, then pop up the road to Guatacrepe for a chocolate and banana filled crepe! 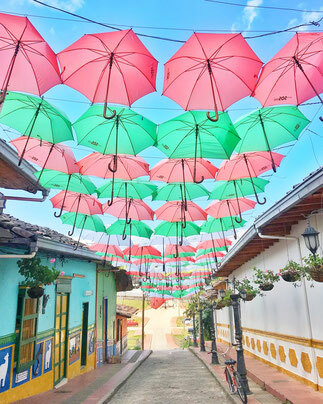 Guatape is the pretty little town, bustling on weekends when Paisas come for a day or two to escape the city, yet quiet throughout the rest of the week. 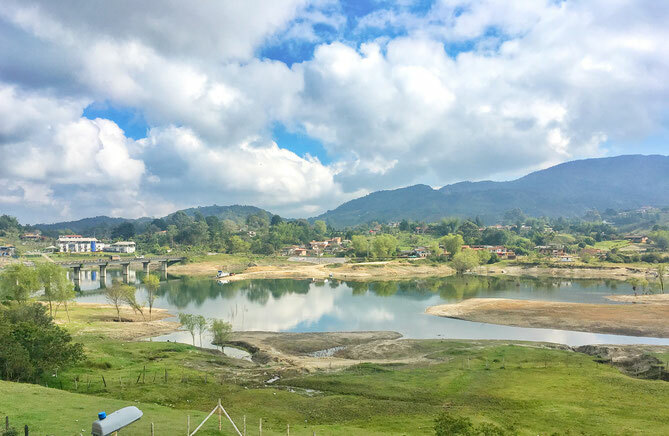 For us, Guatape was the perfect place to slow down for a little while as opposed to being constantly on the move. 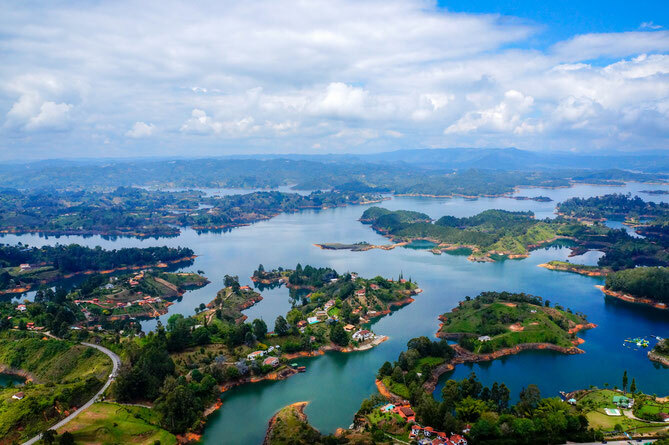 If you do plan on visiting Guatape, then we would strongly recommend you do more than a day trip as there is so much to do here and even if you don't feel like doing anything at all; its the perfect place for that too.